Hosts International is a provider of high-quality homestay and house share accommodation. We also operate across 20 towns and cities across the UK and Ireland through our head office in central London. The company was set up in 1988 and its main function is to provide quality homestay accommodation to visiting foreign students, interns, executives. We take great pride in offering a friendly and flexible service to our partners which include some of UK’s leading institutions and worldwide agent partners. Hosts International meets the standards for registration with the British Council as a provider of homestay, private home and independent self-catering accommodation for adults and under-18s for accredited providers in the UK. We select only the very best host families and have established a long working relationship with a great many of them. All of our families are located in pleasant residential areas with nearby transport links to college and the city centre. We handle hundreds of groups each year and cater to all age groups. Group homestays can accommodate up to four students, two minimum usually sharing a twin room, on half board or full board meal plans. All our transport is in modern, comfortable, clean and fully insured vehicles with competent drivers who are sensitive to the welfare needs of overseas students. I liked it very much hier. They were very friendly and I had every day enough food. They were very interested in what are my plans and they spoke a lot with me. They helped me to improve my english. I can recommend my hostfamily very much! Niki is a fabulous cook! Very good! Well done and thank you! Noel’s House is large, confortable, and well placed ( only 10 min of walk from the tube) . this familly is sympatic and a large opened mind. i had the chance to speak a lot with them to improve even more my english, to have some advices and suggestions to spend my free time in London after the college . i recommend this familly for his hospitality .Best regards. Our main aim is to ensure that every student is placed in a good homestay environment, which we strongly believe leads to a faster improvement in the language and a happier stay. We achieve this by demanding a high standard of homestay accommodation and selecting only the best homestays. We aim to ensure that all enquiries and quotes are answered promptly. We also aim to confirm most bookings within eight working hours, helping to make our service more efficient. We offer accommodation to match every need, whether it is an individual or group, student or visiting delegate/business person with a variety of family units from single parent, married couples, a family unit with kids, retired couple, single professionals and of all British ethnic backgrounds. Our portfolio also includes numerous house share properties in London, all chosen specifically with comfort and quality in mind as well as being price-sensitive. 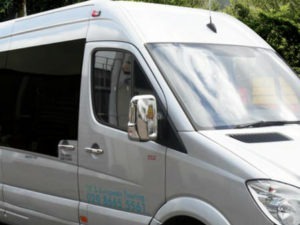 We offer our own efficient meet-and-greet service and group transfers by mini bus or coach to and from any location at competitive prices.